Save on the best garden hose fittings with the lawn and garden experts here at PlumbersStock. Shop and save on Orbit, Seal Fast, Thrifty, Rain Bird, and more. It doesn't matter if you have automatic sprinklers, drip systems, etc., chances are you still need a garden hose. Get the most out of it with hose fittings. 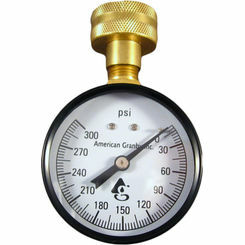 It is important to know what you need in order to complete your garden hose system. 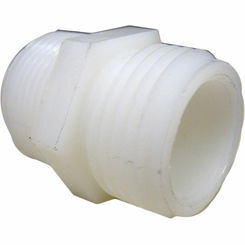 Explanations of the different types of fittings are found below. Here at PlumbersStock we are dedicated to helping both the Contractor and the do-it-yourselfer find the exact fitting to complete your job. 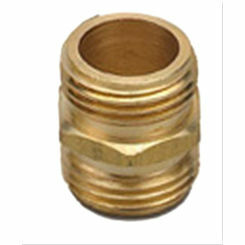 It is important to note that some of these garden hose fittings are used specifically in certain applications. 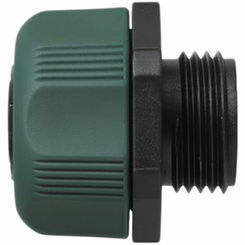 For example, a Mist Application uses a different fitting than a Hose Faucet (Garden Hose) application. Please do not hesitate to contact our professional staff, in order to find exactly what you need. 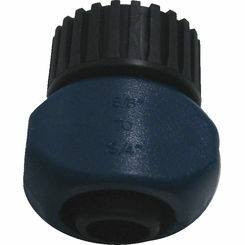 Sweeper Hose Nozzle - these nozzles are great when you need to clean of a walk way or deck. 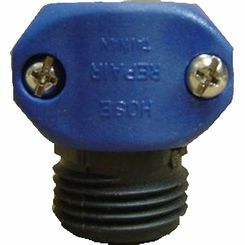 PlumbersStock offers Sweeper Nozzles with your choice of having an on/off control or not. The advantage to having an on/off control is that you can either have a “jet Stream” or a “mist” exiting from the garden hose nozzle. 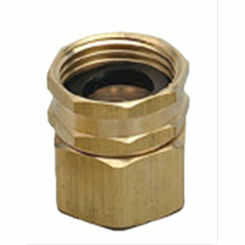 Brass Mender Fittings - These brass garden hose fittings come in all different shapes and sizes. 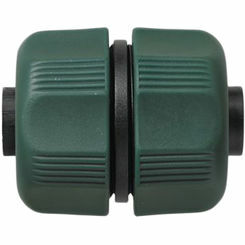 Some act as couplers which allow you to connect two pieces of hose together. 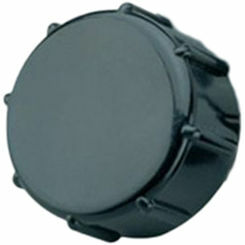 Others have a “mending” end on one side and then either a male or female connection on the other. 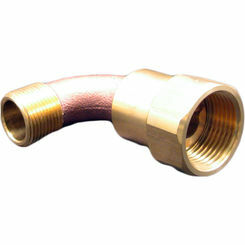 They are also both sold in either brass or aluminum, which also use hose clamps in order to create a more secure, water tight connection. 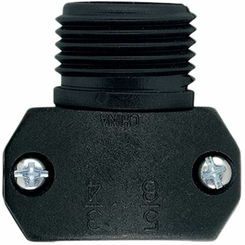 Menders are made for both the end of a hose (male or female faucet-end, attachment-end) and ones that act like “couplers” which have two hose clamps. 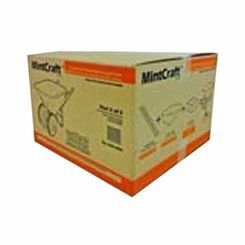 Heavy Duty Mender Fittings - These menders use a built-in attachment (like a hose clamp) that tightens over the end of the hose piece. 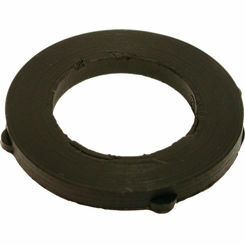 They are both sold for repairing the ends of hoses and attaching two pieces together that resulted from a tear or puncture. 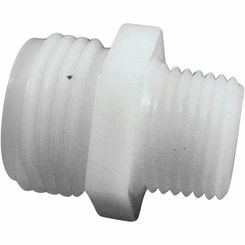 Goose Neck Fittings - This fitting attaches to the faucet (spigot, bib), and makes a tough, tight space manageable to connect and disconnect your hose. 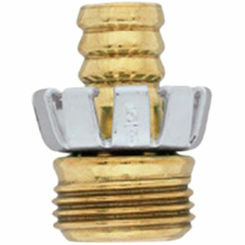 Wye “Y” Fitting - Like their name states, these brass garden hose fittings are shaped like a “Y”. 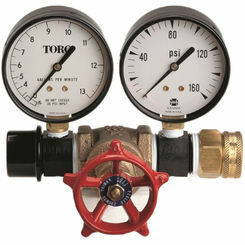 This allows you to run-off a second hose from the main connection. This gives you the ability to run two hose lines out of one. 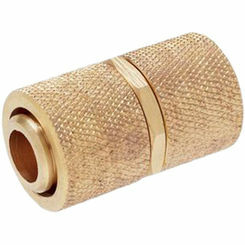 Repair Couplings - These couplings have built in brass pieces, which can be clamped down on the hose to create a secure, water tight connection. 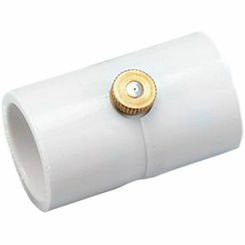 PVC Hose Fittings - These fittings allow you to connect a garden hose to a PVC application. 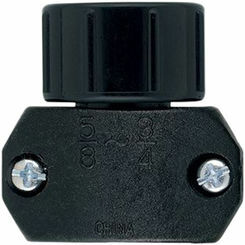 Hose Faucet Manifold – The Manifold allows you to split your hose line into multiple lines. 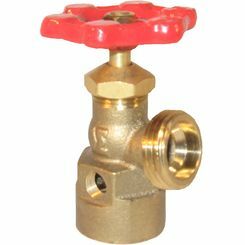 The Orbit 62010N Brass Hose Faucet Manifold allows you to branch off with four lines, each with their own shutoff valves. 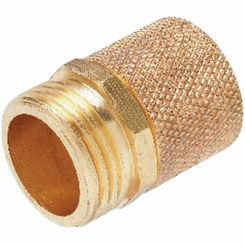 Mist Application Fittings - These garden hose fittings are used mainly in greenhouse applications. 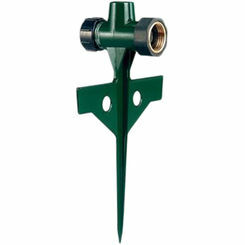 The Misting Hose Nozzle allows you to create an efficient misting over the vegetation. It only uses one half gallon per hour, which allows you to conserve water. 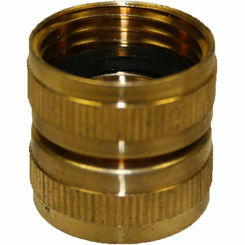 The Brass Nozzle Plug is used in cold weather month in order to eliminate the debris and insects that could get in the lines while not in use. There are so many water hose repair fittings available here at PlumbersStock, so you can find exactly what you need in order to complete your project. If you have any questions about landscape supply or lawn and garden care, do not hesitate to contact our professional staff. 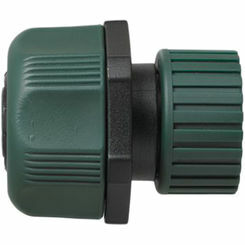 Our staff can help you find the best garden hose nozzle for your garden.